Tech Help LA is now recommending and installing the Ring Doorbell device for customers in Los Angeles and neighboring areas. You can purchase the Ring Doorbell device online at Amazon – Tech Help LA. 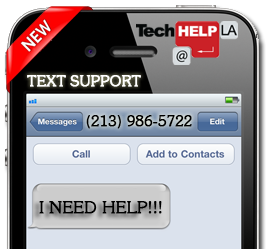 Or you can contact Tech Help LA by phone (213) 986-5722 or email at support@techhelpla.com and schedule an install date and we will bring the device with us on the day of installation. The install, setup, and training should only take 1-2 hours or less. Visit Tech Help LA Pricing for cost based on time required for complete installation. The Ring™ Video Doorbell lets you answer the door from anywhere using your smartphone. It features an HD camera with night vision, providing a clear view from your front door, day and night. Call Tech Help LA (213) 986-5722 for an easy installation and training experience. A built-in rechargeable battery lets you install the doorbell anywhere, or connect it to existing doorbell wiring. Motion-triggered alerts sent via the free Ring™ app (iOS® and Android™) notify you of arriving guests and deliveries. Cloud Recording ensures you’ll never miss any activity at your home. With Ring, you’re always home. 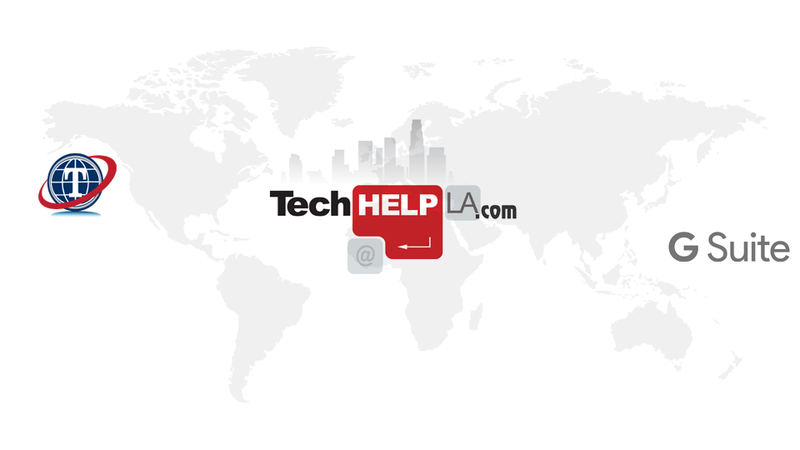 Author Tech Help LAPosted on February 1, 2016 Categories 790am kabc, 790am kabc tech help la, 790am kabc tech support, Survaillance, tech help la, Tech Help LA, tech help la mobile, tech help la security, tech help los angeles, Tech Help Los Angeles, tech help los angeles android, tech help los angeles security, tech help los angeles web design, tech support la, Tech Support LA, Tech Support Los AngelesTags 790am kabc, 790am kabc tech help la, 790am kabc tech support, Announcements, apple buys beats, apple buys beats electronics, Beats Electronics, beats headphones, best internet browser, beverly hills computer repair, beverly hills computer tech support, beverly hills computer technical support, beverly hills computers, Camera Surveillance, chrome browser, chromebook, chromebox, chromecast, computer support, computer tech support, culver city, culver city computer support, dr dre, dre beats, fast web browser, foscam, foscam cameras, foscam.us, free web browser, google browser, google chrome, google now, home power, homepower, kabc, kabc 790am, la ring doorbell, la solar, la solar energy, la solar power, linkedin, los angeles, los angeles ring doorbell install, los angeles solar, los angeles solar energy, los angeles solar panels, los angeles solar power, make it work, make it work closes, make it work closes down, Make It Work Shuts Down, malibu solar, malibu solar energy, malibu solar panels, malibu solar power, malibu tech support, marina del rey computer repair, marina del rey computer support, marina del rey tech support, Michael Puttre, power solar los angeles, power solar malibu, ring, ring doorbell, ring doorbell beverly hills, ring doorbell install, ring doorbell install los angeles, ring doorbell installers la, ring doorbell installers los angeles, ring doorbell los angeles, ring doorbell tech help la, Save on Your Electric Bill, solar, solar energy, Solar Energy and Higher Property Values, Solar Energy and the Environment, solar energy la, solar energy los angeles, solar energy malibu, solar home install, solar home installation, solar installation los angeles, solar installation malibu, solar panels, solar panels la, solar panels los angeles, solar panels malibu, solar power, solar power la, solar power los angeles, solar power malibu, Surveillance Team LA, surveillanceteamla.com, tech help la, tech help la ring doorbell install, tech help los angeles, Technical support, technician, technology, Why Solar Energy?, Why Use Solar Electricity?